Mark Chao confirms that Gao Yuanyuan is pregnant! Aww, so we kind of knew already, but it doesn't make the news any less sweet. After lingering pregnancy speculations about his wife, Mark Chao took to weibo to announce that they are expecting their first child. He writes, "Happy to see everyone each time. We always say, "nature will take its course." Now, we can say, "Yes, thank you for your well wishes." Gao Yuanyuan immediately shared the post on her own social media account. 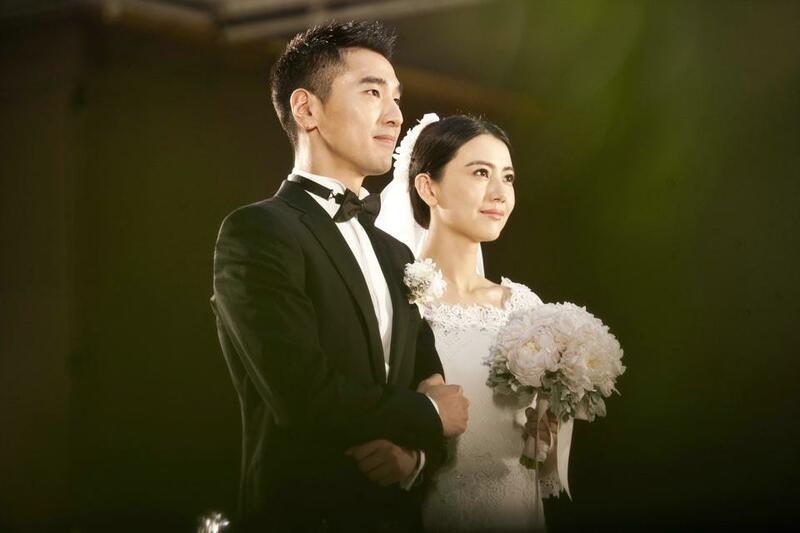 Mark Chao and Gao Yuanyuan got married in 2014. They became a reel-to-real couple after filming the movie Caught in the Web. These two are up there amongst my favorite couples just because of how genuinely in love they seem to be. Being married for five years, the subject of have kids has followed them for some time. On being a woman in her late thirties, Gao Yuanyuan said in an interview that age does not matter and that there was a right time for everything. A big congrats to them! So happy for them! I agree they are such a lovely, genuine, low-key couple. Glad they confirmed it in an understated way as soon as they felt the time was right, to prevent the media/netizens from continuing to speculate and gossip. It's actually getting crazy how many celebrity pig babies there's going to be this year though. This must be some sort of record?! Lol.